While I learned more than 5 things in the more-than-two years since I opened my own company, TheMessageCrafter.com, it’s these 5 that have showed me how my years in the corporate world have informed the 2 years I’ve owned my own business. What I did in my corporate role and what I do out here in the world of the small business owner have similarities and differences. Similarity: In both cases, I work(ed) with subject matter experts (aka geeks and nerds with specific knowledge and experience that qualifies them to develop and present content to the rest of the world). Similarity: I am a SME, too – in language and messaging. Similarity: In both contexts, the corporate and the entrepreneurial world, the company owns the content. 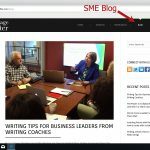 Difference: If you’re a SME who is also a business owner, you are the company and the brand, so you own the content (or you should). You take the credit and the profits for quality content – and the blame if the quality is not up to snuff or guilty of copyright infringement or plagiarism. Who’s going to read this stuff? As to the first question: Do research into your market. You may be surprised to find that your readership is a much wider audience than you thought. Online searches that dig deeply into what your colleagues and prospective clients / customers are saying will uncover how your story stacks up to theirs. Remember that answering who and why will determine how and where with respect to publishing your content. Will it be online or offline – or both? 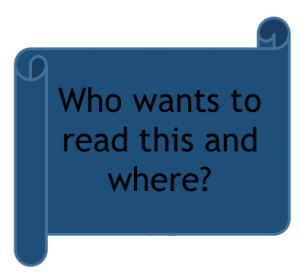 How do your readers want to read your content? Where will you market your content to them? It is true that “Creativity is just two old ideas meeting each other for the first time.” And “There is nothing new under the sun.” It is also true that if “your” content is not more than 50% percent your ideas, your “thought leadership”, your processes, you cannot truly claim it as yours. Cite your sources for wholly quoted material. You must also add you into the mix of the research you’ve done, the lessons you’ve learned, the story you are telling, especially in the parts of your content without quotation marks around it. Find your authorial voice. Let your inner SME speak. And remember to credit sources for graphics (photographs and other pictures). Again, resist the push / pull that says “Add pictures to make your content pretty.” Professional communicators call that “trying to turn a pig’s ear into a silk purse”. If your content has substance, it doesn’t need just a pretty face – it needs pictures with punch. A mentor of mine when I first started writing and editing in the corporate world used to refer to the “perfect marriage of words and graphics”. The pictures you add to the text should complement the text, carry it forward in that way that only visuals can. A cartoon published when Jim Henson of Muppets fame died depicted Kermit, the Frog, with a single tear running down his face and the caption “I lost my voice!”. I think about that cartoon when I think about a client of mine who told me a sad story about losing her authorial voice in a book she was collaborating on with someone who billed herself as a writing coach. At least my client thought she was collaborating with this other person. But when it came time to hand the book off to the publisher, my client couldn’t find herself anywhere in its pages. That’s when she stopped the publishing process and found me. 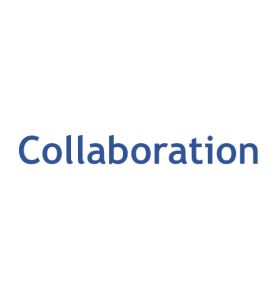 Defining the roles in a collaboration means, among other things, deciding who is the expert with respect to the content and, thus, is properly designated the author of the piece. A professional writer, editor or writing coach, unless he or she has negotiated a “with so-and-so” spot in the by line, is the expert on language and crafting the message, not the primary authorial voice. And it is especially important for the writing coach to maintain the coach position and resist wholesale writing or rewriting. Think of it this way: If your coach or trainer at the gym did most of the exercises in your place and claimed you did them, you could see how that would be a misrepresentation of roles. Edit reviews must be built into the writing process. 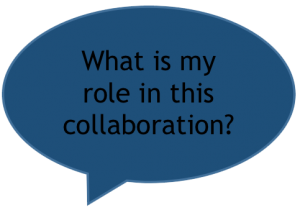 And based on your role in the collaboration, you need to own your part of the review. If the copyediting polish that is spelling, grammar, syntax and punctuation is not your strong suit, leave that to others. When you review your own writing, ask yourself: What of my knowledgebase, my skills informs this communication piece? Is it presenting my area in the best light? Am I “standing in my excellence”? Remember: Collaboration takes more time than slapping something together, and it builds a better product than if only one person contributes. 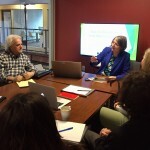 Group planning and review goes more smoothly if the give-and-take is collegial (supportive of others’ expertise): It presupposes that we are equals who can learn something from each other in the process of building something together side by side. B ack at Step 1 (defining audience and purpose), I said that knowing who’s going to read your content is one of the most important components of the planning process for any communication piece. Where do you find your readers? If you’re publishing a book, would they attend an in-person reading and book-signing? Would they prefer to hear you in a webinar or online reading? What social media platforms (if any) do they frequent? Leaving the researching to a marketing expert will leave the SME at a loss as to his or her “reach”. Owning your content means you know who’s in your circle of influence and where they hang out. How does what you offer dovetail with what other people need and / or want? Finding that sweet spot is sweet indeed.